My colleague Katie Hull-Sypnieski is leading a February 1st Education Week Webinar on differentiating instruction, and I would strongly encourage people to participate. Katie’s the best teacher I’ve ever seen…. In addition, Katie and I have co-authored a piece for Education Week Teacher on the topic that will be appearing there soon (it’s appeared: The Five By Five Approach To Differentiation Success), and an upcoming post in my blog there will be talking about it, too (that two part series has also appeared). I also did a second two-part series in Ed Week on differentiation. Also, check out The Best “Fair Isn’t Equal” Visualizations. Given all that, a “The Best…” post was inevitable, and here it is. Busting Myths about Differentiated Instruction is by Rick Wormeli. Reconcilable Differences? Standards-Based Teaching and Differentiation is by Carol Ann Tomlinson. Deciding to Teach Them All is by Carol Ann Tomlinson. Making a Difference: Carol Ann Tomlinson explains how differentiated instruction works and why we need it now is an Ed Week Teacher interview. From Differentiated Instruction to Differentiated Assessment is by Douglas B. Reeves. Mapping a Route Toward Differentiated Instruction is by Carol Ann Tomlinson. 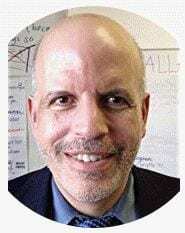 Using Digital Tools for Differentiation is a wiki created by Bill Ferriter. Differentiated Instruction: Setting the Pedagogy Straight is by Rick Wormeli. Leadership for Grading Practices in the Differentiated Classroom is by Rick Wormeli. Six Scaffolding Strategies to Use with Your Students is by Rebecca Alber. Setting the Stage for Change Toward Differentiation contains a very useful chart that was developed by Carol Tomlinson and others. Simple ways to differentiate materials for mixed level classes is an excellent post by Rachael Roberts. It’s focused on language teaching, but the ideas can be applied to any class. Carol Tomlinson participated in an @ASCD chat on Twitter and shared a great infographic. Here are a couple of tweets with it, followed by a few tweets I was invited to send about differentiation and ELLs. Differentiated Instruction Strategies: Using Learning Stations is from Teach Hub. 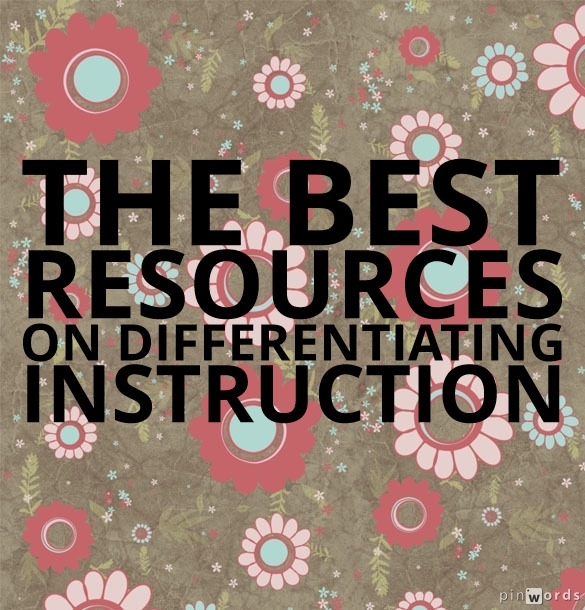 Five Tips for Getting Started With Differentiation in a Secondary Classroom is from ASCD. There’s No Time to Differentiate: Myth-Busting DI, Part 2 is from Edutopia. Scaffolding for Success: Best Practices for Secondary ELLs is from TESOL. I’m adding it to The Best Resources On Differentiating Instruction. Ways to differentiate texts is by Carissa Peck. On differentiation: a reply to a rant and a posing of questions is by Grant Wiggins. Differentiation Is Important ‘Because We Teach Students Not Standards’ is my latest Ed Week Teacher post on the topic. Differentiation Isn’t Perfect — But It Can Work is from Edudemic. 3 Simple Ways to Differentiate Instruction in Any Class is by A. J. Juliani. Great Lessons 4: Differentiation is by Tom Sherrington. How I Learned Differentiation appeared in Teach Thought, and is excellent. Q & A Collections: Differentiating Instruction is the title of one of my Education Week Teacher columns. 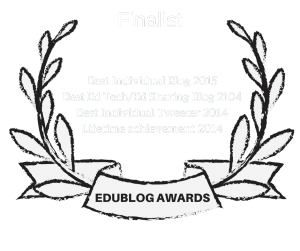 It includes link to all my posts on differentiating instruction from the past four years – in one place! 10 Questioning Strategies to Differentiate Instruction is from Minds in Bloom. Differentiating With Learning Menus is very good video from The Teaching Channel. It’s embedded below. Meeting The Needs of Diverse Learners looks like a useful video series from The Teaching Channel. Inclusion in the 21st-century classroom: Differentiating with technology is from Learn NC. Yes, Differentiation Is Hard. So, Let’s Get It Right. appeared in Ed Week. Too Many Students and Not Enough Time is good post from Edutopia on differentiated instruction. Teaching a Class With Big Ability Differences is by Todd Finley. Is Differentiation Really Doable in Math Class? is from Middleweb. Using Playlists to Differentiate Instruction is from Jennifer Gonzalez. One Size Does Not Fit All: Differentiating for English Learners is by Jana Echevarria. I Want to Get Better at… Differentiation is from The Teaching Channel. ‘Embracing Technology’ as a Tool for Differentiation is the headline of one of my Education Week Teacher columns. Trying to make math meaningful. is a nice post by Joe Schwartz on differentiating instruction. The ability to differentiate instruction is so important in today’s classrooms! VocabularySpellingCity recently implemented a new Premium feature – Assignments – that allows teachers to create customized assignments for individual students or groups of students. As soon as each student logs on to the site, his/her personal assignment is visible and ready to be completed. All activities and test scores are automatically recorded for the teachers too.